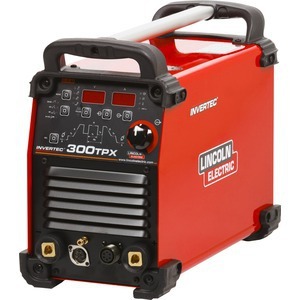 30% more output current with the same input current allows welding up to 4.0 mm electrode with 16A input. 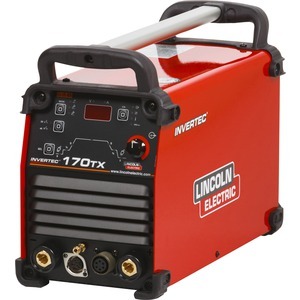 The Invertec® V205-T AC/DC is ideal for critical AC or DC TIG welding applications. 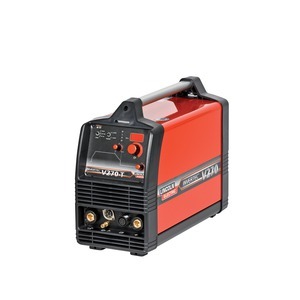 This full featured TIG welder is also capable of stick welding. Equipped with Power Factor Correction (PFC) Invertec® V205-T AC/DC provides almost 30% more output power with the same input current. 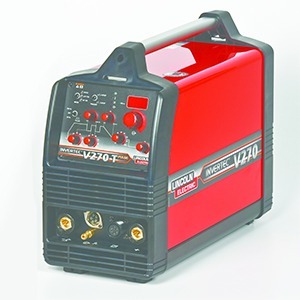 The 115/230V auto-reconnect makes the V205-T AC/DC truly flexible and the rugged, portable, lightweight design is ideal for shop or field environments. It can be simply changed to a water cooled unit by adding the COOL ARC® 20 Water Cooler. 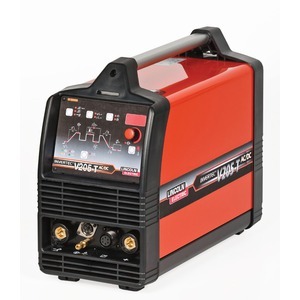 Three modes of operation DC TIG, AC TIG or Stick. AC or DC output – for a wide variety of material types and thicknesses. Adjustable AC frequency – allows you to focus the arc for precise arc control. PFC gives low current consumption – energy saving, low current harmonics and reduction of the total CO2 produced by the welding process.